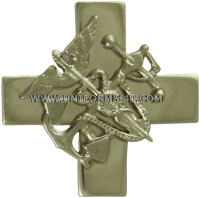 These two versions of the USPHS Commissioned Corps Field Medical Readiness Badge (FMRB) are an example of why the service revamped its system of designing medals and authorizing their production in 2012. 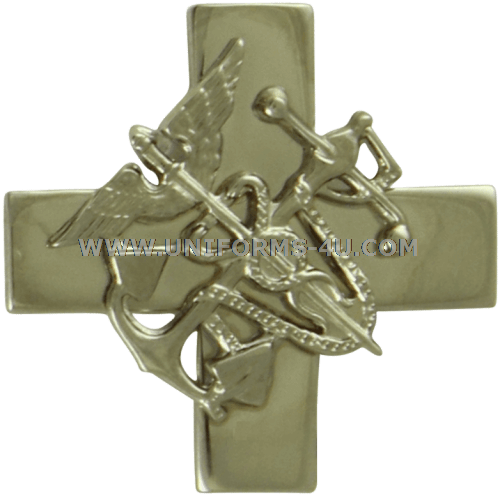 While the basic design of these two badges is highly similar to the current FMRB—the only real difference is in the crafting of the fouled anchor chain that makes up the Corps device mounted on a cross—the badge was issued in both a pewter oxidized finish and in a shiny, anodized silver version. The problem wasn’t so much that only one of the two versions was authorized (the pewter) as it was the drastic difference in appearance. One of the basic concepts of military uniforms is consistency, including decorations, and the difference here was jarring.